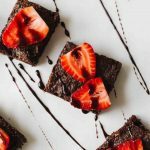 This Superfood Strawberry Chocolate Brownies recipe is sponsored by our friends at Detox Organics, but my love for their chocolate superfoods is completely my own! Ok SO I know that Valentine’s Day is over and I’m about a week late with these Superfood Strawberry Chocolate Brownies, but I promise that I definitely had a good reason for my tardiness! Keep reading, friend. Here’s my confession: that morning, I had no idea what I was going to give Cody for his gift. I did buy the standard heart shaped box of chocolate because, well, chocolate. But I wanted to do something a little more! 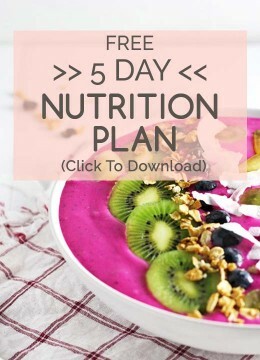 I also wanted to create something healthy so that we could continue eating the delicious dessert for the rest of the week. 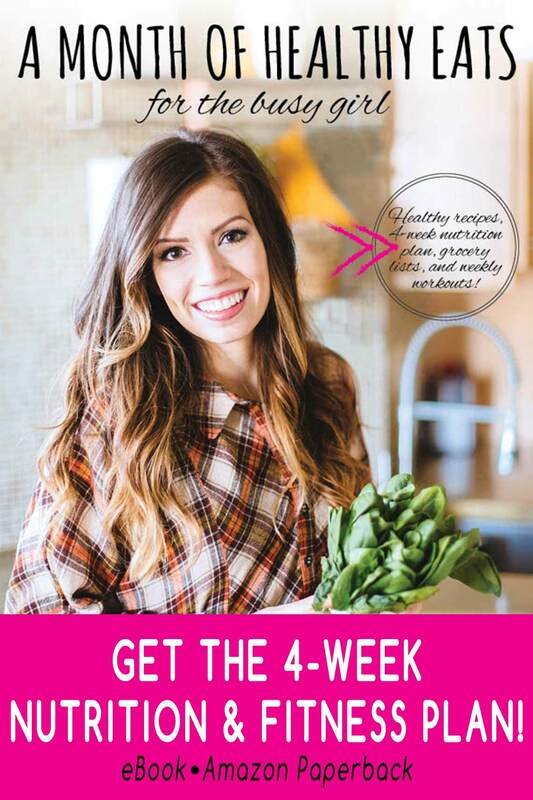 When I saw my tub of Detox Organics Chocolate Superfoods, I knew that this recipe just had to be! These Superfood Strawberry Chocolate Brownies are healthy and delicious! Oh, but back to the reason that I’m just now posting about them. They were a total surprise for Cody, so I couldn’t reveal them yet! And there’s also the fact that I didn’t even think of this recipe until that morning. So…ok…I’m kind of just late here. But strawberry chocolate brownies are definitely still good after Valentine’s Day, right?? Surely. As I mentioned earlier, these brownies are made with Detox Organics Chocolate Superfoods. If you’ve been following along on my Insta stories, then you’ve definitely seen me post about it! I absolutely love drinking this superfood mix everyday (and thankful that it literally tastes like chocolate milk), but I’m also loving baking with it! If you’ve never tired Detox Organics Chocolate Superfoods, be sure to use code “JOL” for a 15% off discount! Also, this recipe is a variation of the Healthy Chocolate Brownies w/ Date Caramel Sauce, so be sure to try out that version as well! These Superfood Strawberry Chocolate Brownies are Vegan, Vegetarian, Gluten-Free, and Refined Sugar Free! Combine the dry ingredients together (except for the sliced strawberries). Mix the liquid ingredients together (except for the optional cacao syrup) and combine with the dry ingredients. Mix until the batter is thick. Pour the batter into an 8 x 8 inch pan and bake for 22-25 minutes (or until a toothpick comes out clean). Slice the brownies into servings and top each one with strawberries and cacao syrup (optional). The only thing better than brownies is SUPERFOOD brownies! Strawberries and chocolate is one of my all time favorite combinations, so this is going on the “must try” list! I don’t need Valentine’s Day to eat these treats. I’ll take them anyway so no worries that the holiday has passed??? Another great recipe Christine! These brownies look over the top delicious, and the strawberries are such a great touch! I LOVE making healthy brownies! Nothing beats a fudgy, chocolatey brownie straight from the oven…especially when it’s packed with superfoods!